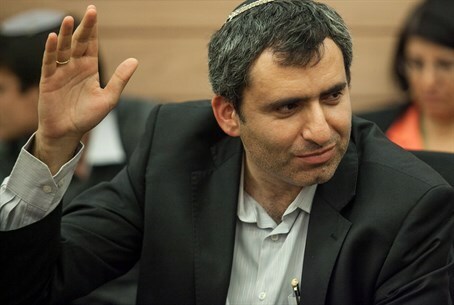 "The Arabs' goal has always been to destroy us," says Deputy Foreign Minister Zeev Elkin. MKs from the Likud party expressed doubts on Sunday that the current round of peace talks with the Palestinian Authority would lead to any peace agreement. Water and Energy Minister Silvan Shalom, who spoke at a conference of Likud activists in Tel Aviv, said, "We are now marking 20 years since the Oslo agreement which was a total failure that only caused deaths and injuries. The thought that it will be possible to reach an agreement with the Palestinians within nine months is no more than a delusion," he added, referring to U.S. Secretary of State John Kerry’s hopes that the peace talks could end within nine months. "I do not believe this government can offer any more than what [former Prime Minister Ehud] Olmert offered, and I hope it will not lead to an explosion," Shalom said, referring to an offer made by Olmert to PA Chairman Mahmoud Abbas in 2008. Olmert offered to withdraw from roughly 94 percent of Judea and Samaria and compensate the PA with the equivalent of 6 percent through a "land swap" that would allow Israel to keep major communities in the region. Olmert also proposed international administration of Jerusalem's holy sites. Abbas never formally responded to Olmert’s offer, essentially rejecting it. Also playing down the possibility of a peace agreement on Sunday was Deputy Foreign Minister Zeev Elkin, who spoke during a toast in honor of the Jewish New Year.